I wish you all a fun season. Good luck! Good luck to you as well and to all! Under performing very badly.. hit with hot reads left and right..if it wasn't for a prayer bomb and a 52 yd FG as time expired..this team would be 0-3. Gotta adjust and keep grinding out more wins hopefully! 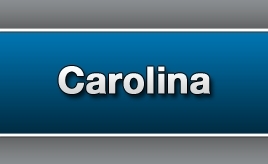 I keep making rebuilding moves to Carolina but they keep pounding and theyre now at a reasonable 3-4 record.. Weird! I may have to trade early picks for next years drafts if youre interested.